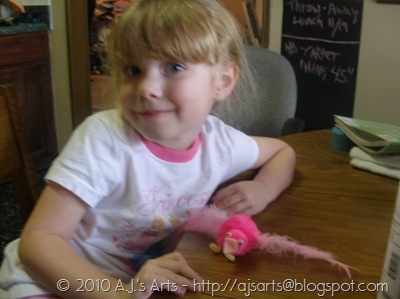 Pink Pom-Pom Birdie | Who Are You Calling Crafty? 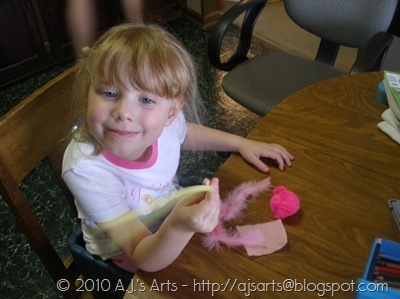 My daughter has been bugging me for over a week to make a bird out of pom-poms. I finally broke down and pulled out the pom-poms and helped her make a birdie. 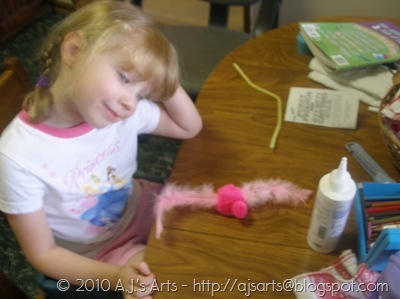 Picking the pom-poms, pipe cleaner, and the feathers. 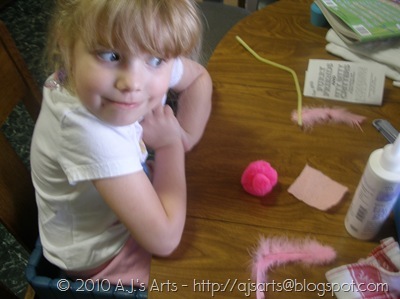 We glued the small pom-pom to the big one – we are waiting for the glue to dry in this picture. We added the wings, my helper was hamming it up for the camera. 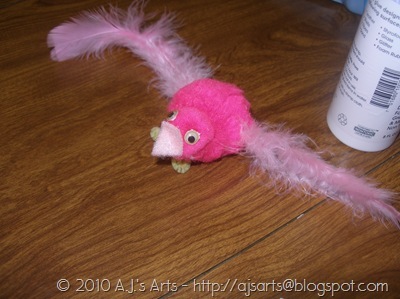 We added googly eyes, a beak made from felt and feet made from 1 1/2” pipe cleaner that I bent into a foot shape. A very happy customer (she is very hard to please at times – lol). This was a very easy project 20 minutes tops and she loves it!